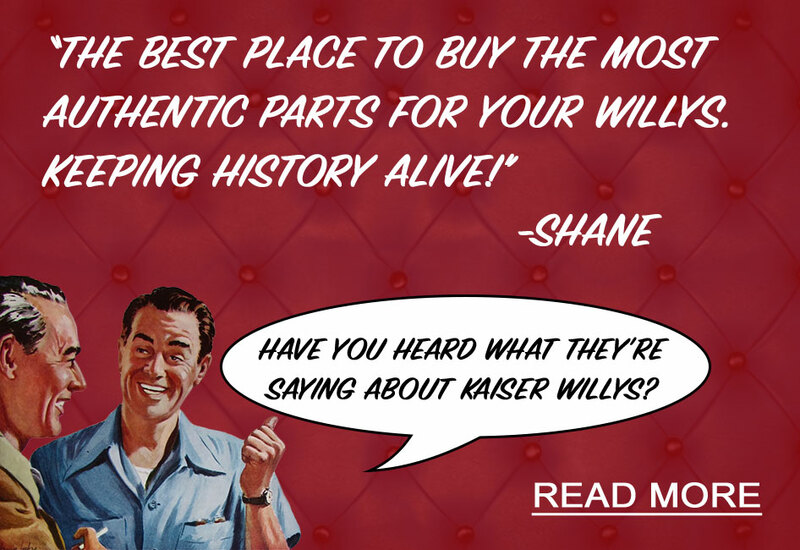 Please call us toll free and I can ID for you or email mike@kaiserwillys.com Thanks! Questions: Does this manual cover the L6 230 engine? 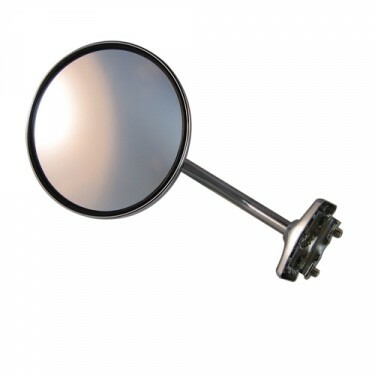 it is for a 1964 truck. Questions: Does this manual include a complete parts list and diagrams? 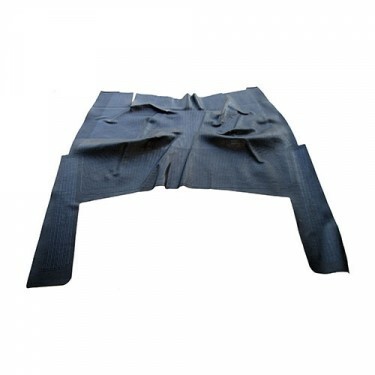 It has a complete diagram and step by step instructions and torque specs. 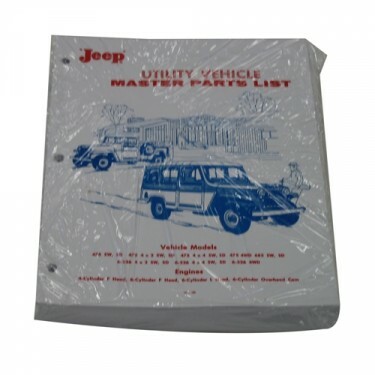 We do have Master Parts List Manual if you like as well. Questions: does this manual have guidelines how to set up the timing when putting a 134 F together from scratch? Yes, it will go over how to time your engine. Questions: Does this manual cover front power train winch on 1959 pickup? Yes, it covers the chassis. Yes, this will have frame dimensions. Questions: I'm looking for seats, bottom and back, for a 1950 Willys pick-up. It has the storage boxes under the seat. Do you know where I can find them? Thankl You. 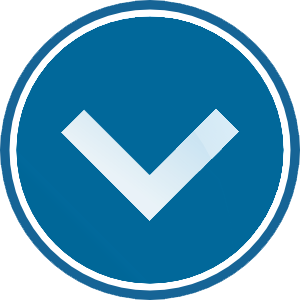 We can probably help you with good used. Please call us toll free. 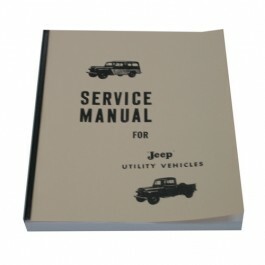 Questions: Does this manual cover the windshield wiper operation? Yes I believe it does have a section about this. 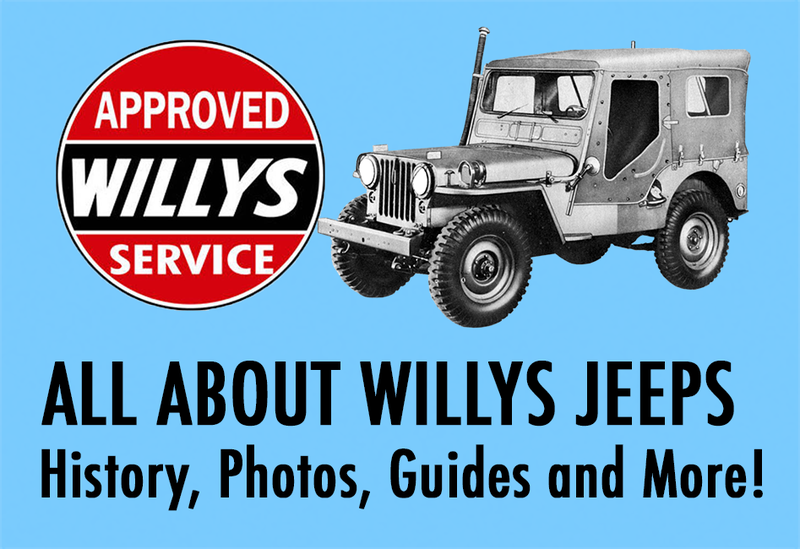 Questions: I have a 1950 Willys pickup with a 4-134L engine. The manual talks about the 4-134F engine. Are the specs the same for both engines? Are there two different manuals? Its probably a 1949 just titled as a 1950 the year it was sold off the lot. The engines are very similar in reguards to alot of the torque specs. Questions: Does this manual cover items like heater and inside door glass regulator? How about how to install window glass in new rubber? Which manual has wiring diagrams? This will have wirigin diagrams and it does have some information and info on the glass too. Questions: I have a 1950 Willys Truck with an F Head engine. 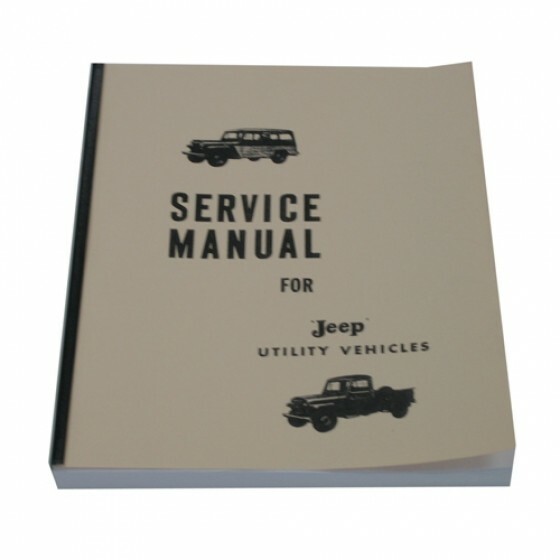 Does the manual include torque specs for head, crankshaft main bearings, etc.? Yes it will have all the torque specs. 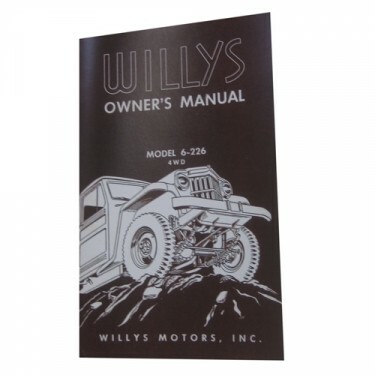 Questions: Does this manual cover disassembly and reassembly of the compleat suspention kits you sell for a 1962 willys wagon? Yes that is correct. It covers the suspension. Yes it is a very complete original issue manual. Yes that is correct. It goes over all the assembly and disassembly of it. Questions: Does this manual have a brakes gruoping with exploded views? Questions: does the manual cover the 6-161 hurricane engine. No it does not. It cover the 4-134 & 6-226 engines. Please call us toll free. We can help. The mechanics manuals really do not cover the door mechanism. Questions: Does this manual cover the Tornado 230 engine? Questions: Does this manual include complete blowup diagrams of the 6-230 engine? 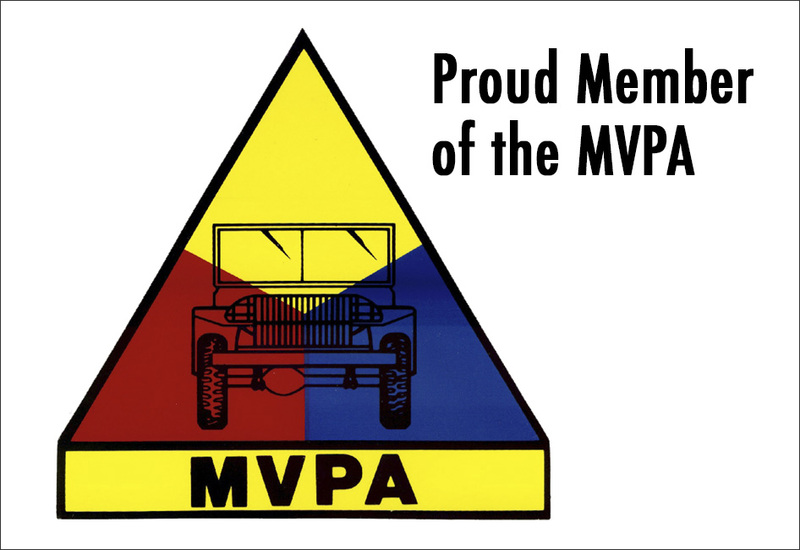 Questions: My Wagon has a 4-134 F engine from an M 138-A1 judging by the carb. Will this manual cover that motor? It will cover the motor yes. Yes, it give a full blowup.